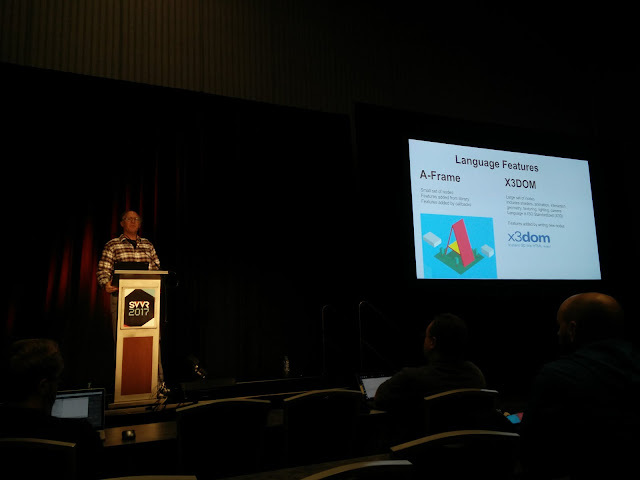 I was invited to speak at Silicon Valley Virtual Reality Expo (SVVR) this time. 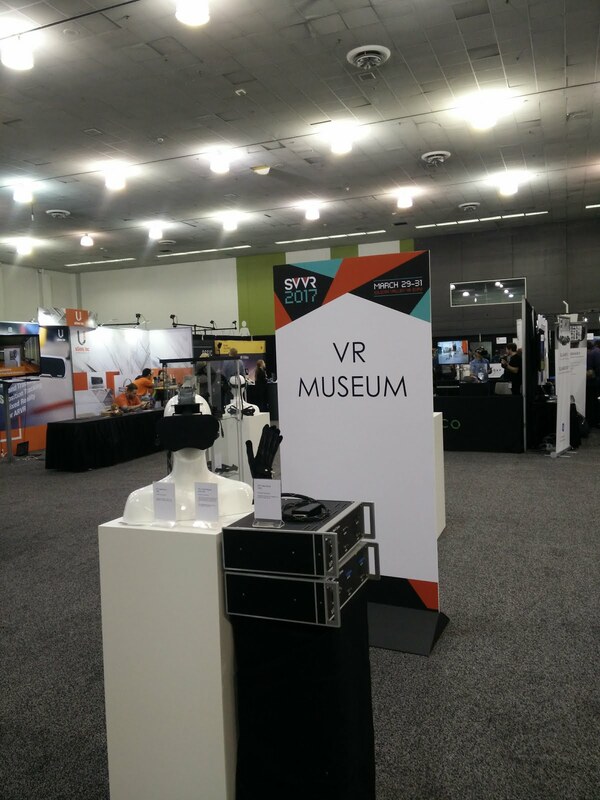 SVVR (Silicon Valley Virtual Reality) is a community-focused industry organization dedicated to accelerating the growth of a healthy, diverse Virtual Reality ecosystem. 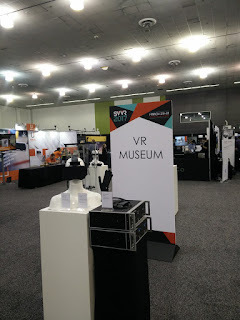 SVVR is unique in a sense that they are a pure industrial conference. Almost everybody who has been dabbling in virtual reality technology turns up here to showcase, learn and to collaborate. The SILICON VALLEY VR EXPO is our main event each year. Over the past 4 years, the annual SILICON VALLEY VR EXPO has grown become the premier international VR industry conference & expo serving ALL VERTICALS affected by VR and related technologies. We are a PURE industry conference, created by VR insiders passionate about advancing the technology and the industry. Our focus on VR professionals makes SVVR THE BEST NETWORKING EVENT IN VR. 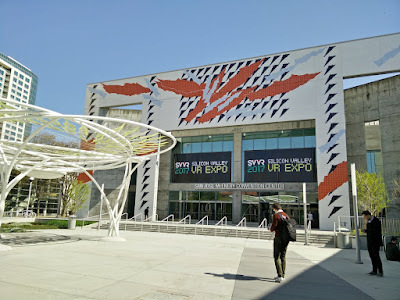 This year the event took place at San Jose convention center from 29th to 31st March. What surprised me was how big the event was and how broad the participation was at the venue. I could literally feel the energy of all the people around me. The conference was divided into two parts. One had simultaneous talks going on throughout the day. And in another part, they had an open room with all the expo set up, where everyone was showcasing what they built. This I particularly thought was cool because it kept a clear segregation between the talks and the expo. 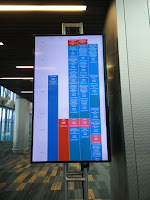 We could pick anyone of them to attend and not get distracted by the other compared to some other conferences where you have booths scattered around in the same place as the talks are going on. There were some truly inspiring keynotes. 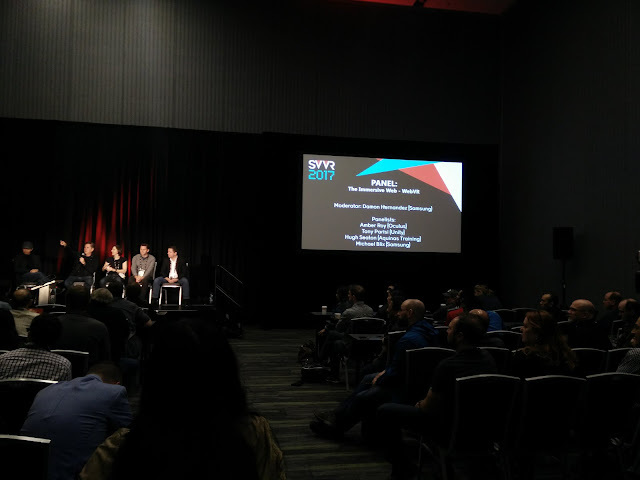 Tony Parisi (Unity Technologies), Nonny de la Peña (Emblematic Group), Rikard Steiber (HTC), Kent Bye (Voices of VR) delivered the keynote. And then followed by a host of other great sessions. Apart from the sessions one of the distinguishing features of the conference was Discussion Panels. It provided a lot of insight to what the VR community is thinking and how they envision VR to be successful. What was surprising and eye-opener for me was, how interested people were in Aframe. 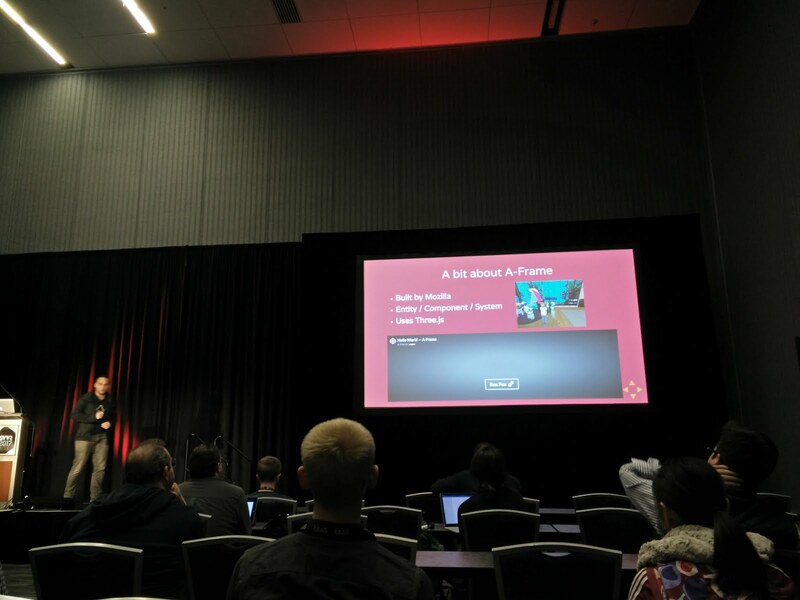 There were atleast 5 talks I attended myself where they had slides, either talking about or comparing aframe and what WebVR is capable of. What it means to be in an immersive web. 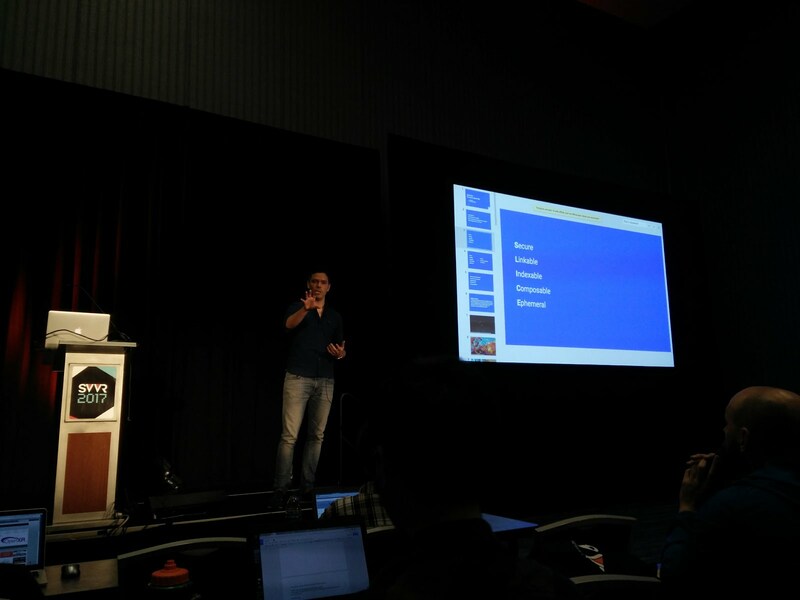 I had my session on the second day, and immediately after Josh Carpenter, who started at Mozilla VR team and now leads Google's VR UI team. From the overall atmosphere I could gather there was a lot of interest regarding aframe and webvr. And it was more exciting when Josh redirected the A-frame questions by introducing me and the talk. The talk itself went pretty well. 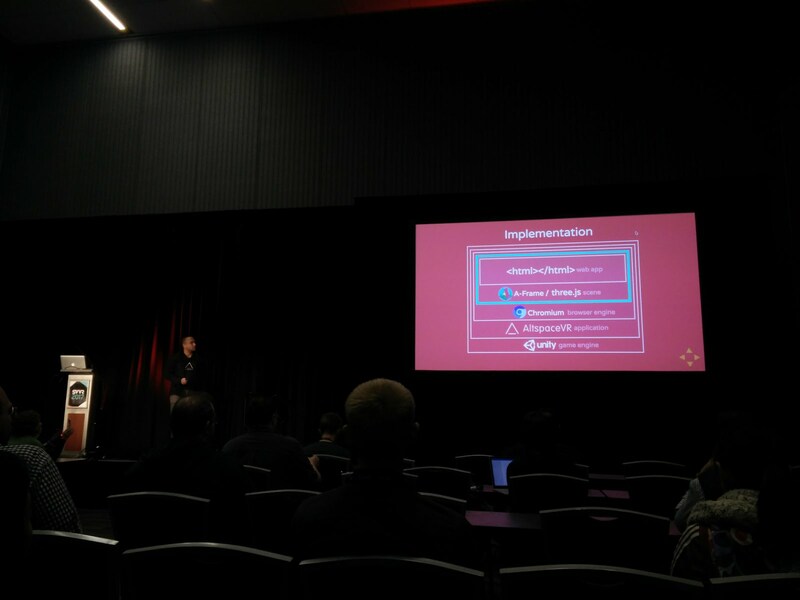 The audience was highly technical so most of the questions I received revolved a lot around specific bugs in implementation or specific issues that people have now with Aframe, including pain points. Especially it seemed performance is taking a center stage for WebVR. The talk generated a lot of discussion afterwords. Among everyone who got in touch with me was Snapdragon. I was little surprised to learn that Snapdragon was interested and investing in creating a core dedicated to VR processing. He was mostly interested in the benchmark demo I showed for gesture recognition in Augmented Reality which I was happily showing around. I also met with IBM Watson team and Unity who were interested in different aspects of the demo. The expo was another thing to behold. This was one of my most engaging, fun and awesome expo I have experienced. Almost all the virtual reality companies I knew about were there along with a lot of new I had never heard about. I managed to play a virtual reality archer game, a real life Tekken (though I spent most of my time actually taking video of other player playing it). Then there was quite a few room scale or maybe I should call arena scale games with mounted computers, head-mounted displays and full-size guns in your hand. Where you step into another dimension and shoot floating objects. On the right side I am trying to shoot down virtual enemies. 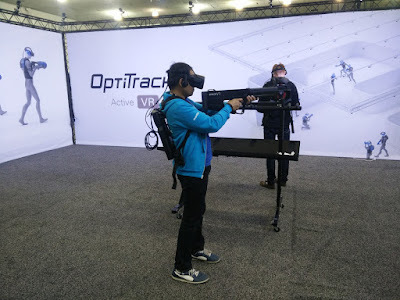 That gun has force feedback, haptic and vibration enabled. It was pretty cool. Not to mention I was carrying a full-blown customized computer in my back which I presume was powering the whole game and making it multiplayer. One of the most useful discussions for me was the meeting of Khronos group. The openxr panel was "Converging Toward a Standard for Virtual Reality APIs". 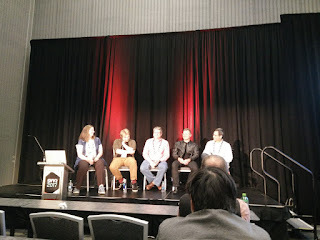 The motto of discussion was tThese are the early days of VR (let alone AR and MR), which presents both opportunity and challenge for developers, hardware manufacturers, and users. Currently, there are two open API standards, and several proprietary ones, with fundamental enough differences to provide unnecessary hurdles for developers, as well as engines. 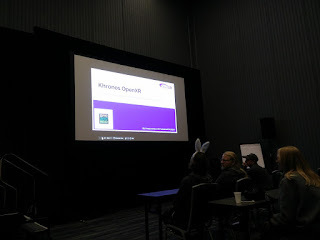 The OpenXR initiative is a coming together of the people behind these different standards with a common goal of finding a way to remove these obstacles and improve everyone’s experience. The session was moderated by Kaye Mason, who is a senior software engineer at Google and the API Lead for Google Daydream, as well as working on graphics and distortion. She is also the Specification Editor for the Khronos OpenXR standard. The others who attended, comprised of Christopher Peri, Director at Samsung Research America. His work mostly is on 3D and VR starting with the VFX1 back in 1995 including teaching a class on VRML. Yuval Bogar (“VRguy”) joined Sensics in 2006 to help take VR from the lab to the market. Lubosz Sarnecki is a Senior Software Engineer at Collabora and VR enthusiast since the DK1 days. Working on accelerating the adoption of Open Source software in a wide array of industries, Lubosz has been actively involved with the Open Source community, and especially the GStreamer multimedia framework, since 2011. Last but not least is David Frerichs has been involved in virtual reality and 3D graphics for over 25 years, including securing patents on virtual reality head tracking and shipping the first consumer HMD. His expertise spans hardware, software, and Web services. The panel discussion was very productive, multiple questions came up and were answered during the session. A prevalent question was how do you protect your assets and intellectual property while building webVR experience. There was a very informative discussion why a standardized open VR/AR(XR) protocol was needed. Kaye talked about the problems they faced while designing Daydream, and why having a unified approach throughout the device stack will be beneficial for developers and device makers alike. Overall I liked the vibe very much. Almost every session I attended was fun and engaging. The setup was good, the sessions were top notch and I got very good feedbacks from my talk. 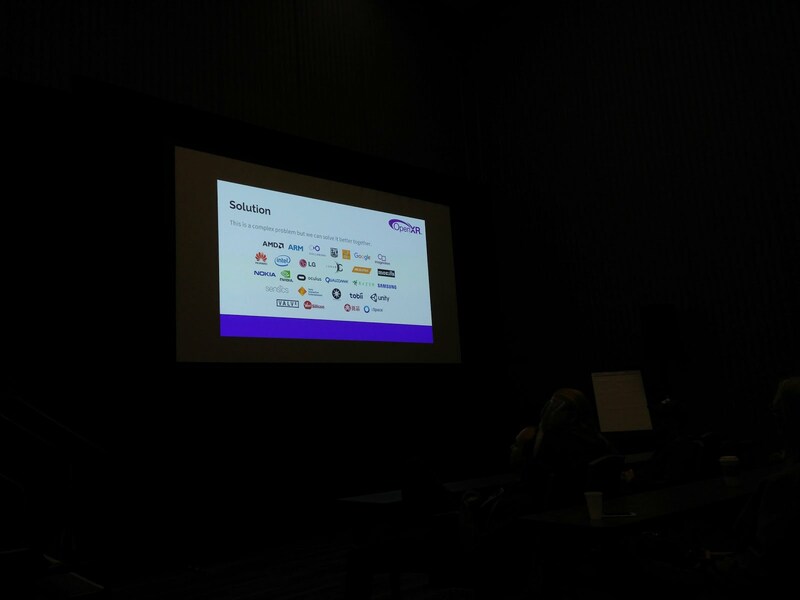 There were quite a few feedbacks and request for contact by different organizations that I felt was very good to get feedback on aframe and how we are doing in the webVR space. This for me was an invaluable experience.